If you are new to business and in the “I feel called to grow a successful coaching business, yet, uncertain how to get there.” phase, you have landed on the right page. “Ready, Set, Launch!” is a personalized, well formulated, step-by-step process that will bring your coaching brilliance to life. Notice is it not called “Set, Launch, Ready?” That is how many people experience starting a business and it can be confusing, gut-wrenching and frustrating. We will show you how to put first-things-first so that you can experience ease, flow and enjoyment of your business! Those that have the formula, experience the freedom and fun of owning a business can provide. We are not claiming there is one straight shot to success, or everything is going to be glitch free. What we are saying is that there are short-cuts to success, best practices, good approaches to eliminate glitches and success formulas that stream line the business set up process. This is a relief! Below you will find an overview of the flow, philosophy and benefits of the program we’ve hand crafted just for you. If it resonates with what you are seeking in your next steps, what you value in a program and what you wish to receive, then we invite to take the journey with us… the journey of growing a successful business. A full program overview is included for you below. Just let us know when you are ready to launch! Many people, upon the consideration of starting a business feel “called” to do so but unclear how exactly to start, or where to start. It is normal to feel the inspiration backing your ideas and then get stuck with the questions of: “How do I formulate all of this into a clear message of what I do?” Completely normal. Sometimes people even skip this part entirely and start working on getting “Set”, hoping the "Ready" will figure itself out. Yet, getting clear on your “Ready” will help you get all “Set” up successfully… the first time. Very important. Clearly articulated WHY so that your clients feel inspired to work with you. Understanding of your "genius work" so you can deliver it to the world with excellence. Anchored success Mindset that is aligned with your values. In the “Ready” phase, we help you craft your WHY, formulate your genius, prioritize your messages and establish a supportive success mindset so that everything else you do is in proper alignment. “What we think, we create. What we feel, we attract. Lessons on establishing a success mindset. Assignments to help you craft your most powerful WHY around your genius. Crafting your WHY around your genius. Establishing a clear direction to head in (we help you create the path in "Launch!"). Niche for your practice or within a single program. Clear understanding of the role mindset plays in successful outcomes. Positive relationship to your business empowerment. Business confidence. Do you have a business model ready? Do you have clear policies, structures and procedures? In the “Set” phase, we help you build a solid foundation for your business centered around the work you completed in “Ready” so that you can experience ease in what you do and become ready to expand your clientele. A properly structured business eliminates chaos and invites greater ease. Lessons to setting up a business successfully. Business resources that are affordable and easy to use. Guidance on what you need to consider. Now you are ready to expand your outreach. It is time to craft clear and inspiring marketing messages. It is time to learn what attracts clients to your work. In the “Launch” phase, we help you craft a clear approach to your marketing approach and anchor in your unique growth strategy. This phase is the phase that is unique. Notice, it comes after you have a laid a solid foundation of getting ready and getting all set up correctly so that your launch can reach that much farther. This is also the phase where it is key to unearth your unique success formula. Most people do not succeed in business programs if they are following someone else’s success formula. When it comes to the marketing phase, learning your unique success formula is absolutely key to success. 12 Professional & Business Development Sessions to help you craft your unique success formula, review all you have accomplished and establish clear path to grow from. Marketing lessons and video tutorials to follow. 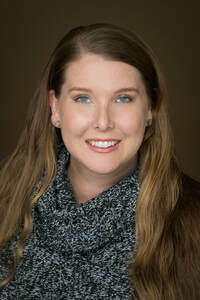 Tabitha Danloe, our Business Coach & Consultant, meets with you each step of the way to help you personalize each lesson create a solid framework and overcome any obstacles. It is perfectly natural to run into areas that need support when starting any business. 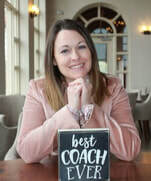 Personal coaching support allows you to overcome obstacles and run your business with confidence and competence. Tabitha built her coaching practice while she was still in training. She carries an extensive background in sales and marketing. She now focusses on business and marketing strategies that leave people feeling fulfilled, authentic and connected to their life purpose! Whether your goals are financial or altruistic, Tabitha's approach has you covered from start to finish. ​The learning and application is sequential. Each phase empowers the next. You will feel the momentum build! Access to the private Business Launch online portal offers additional business building tools and resources. ​The materials are yours to keep for life. Go back any time to review video tutorials. Fill out this form and we will contact you with further details. Please let us know if you are: 1) ready to apply, 2) would like to receive program overview, or 3) have questions.